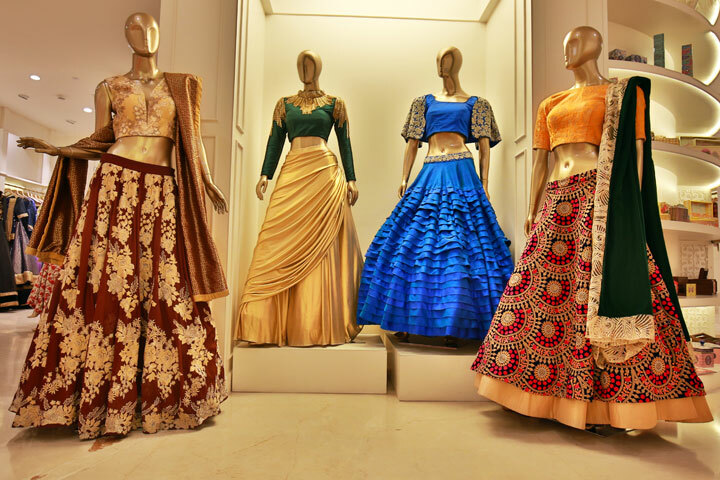 Undoubtedly, one of the most exciting aspects of the entire wedding preparation process for any Indian wedding is to find the perfect outfits for entire family. However, the process of selecting the perfect outfit is not always as fun and easy as it might seem. are few of the challenges which every family face during this important time. If you are not careful, you run the risk of making costly mistakes. Hence, when I came across this wonderful brand, THE ATTIC GRAY, I couldn't help but to share it with you all. 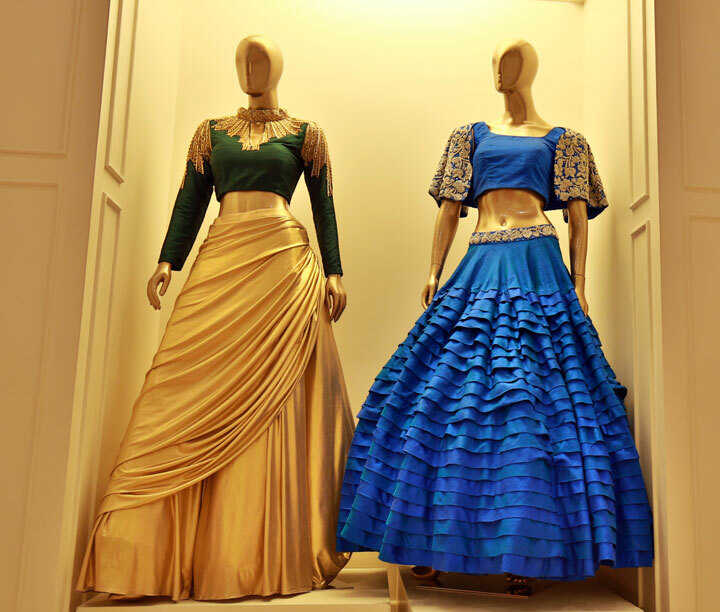 One look at the collection and you feel ROYAL !! 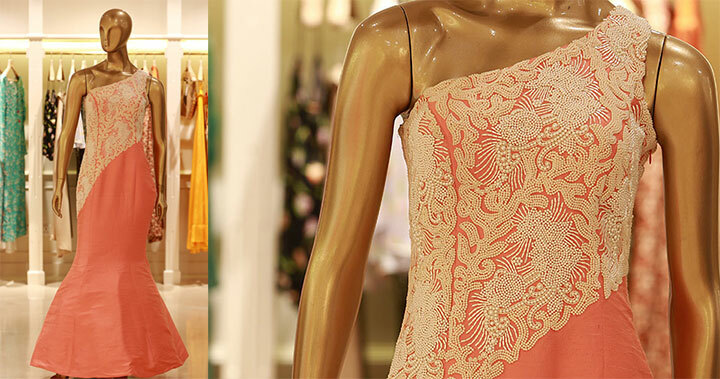 Pure rich fabrics like silk and raw silk were used with intricate hand embroidery. The collection was a work-intensive one, where each piece which is hand-embroidered has taken 10-15 days each to create. The collection is for brides, close family members attending the wedding, and for the festive season in general. 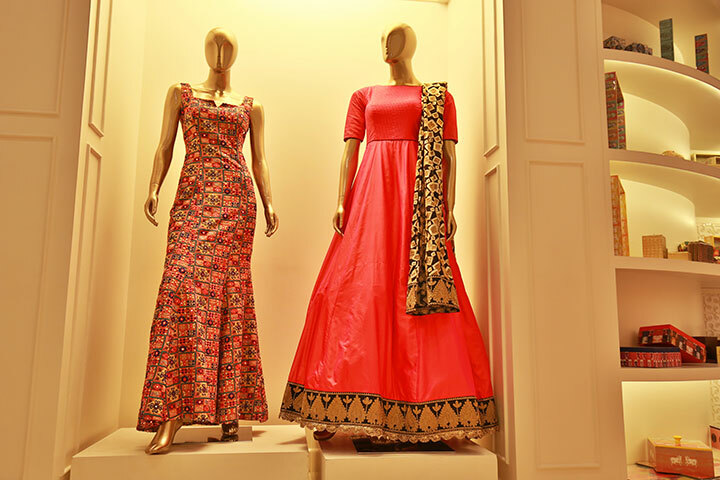 The outfits-lenghas and gowns, are a mix of alternative bridal and wedding wear outfits. The store also has a wide range of more casual festive outfits, providing a mix which caters to a variety of tastes. 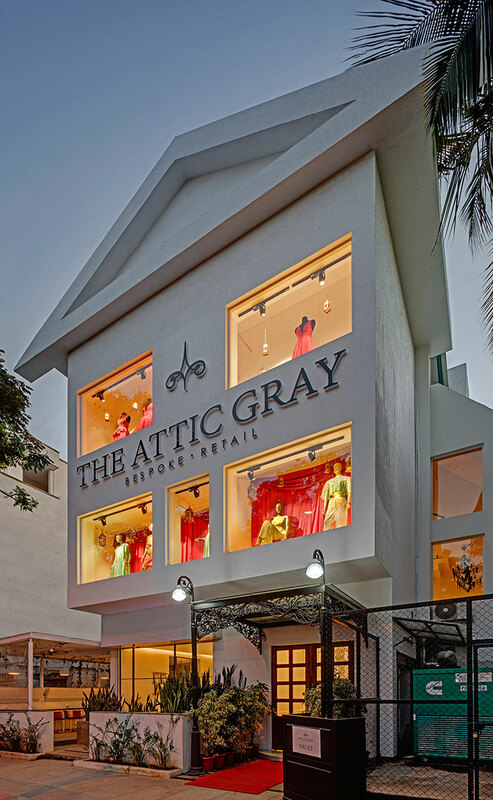 Inspired by the book, The Picture of Dorian Gray by Oscar Wilde; The Attic Gray is the brain child of Ramya R. Girimaji, who recognized a dearth in the market of quality luxury goods for the modern consumer who is well traveled, exposed to global trends and is well informed. Ramya's love for the book along with her philosophy of 'battling insecurities through fashion', inspired the name 'The Attic Gray' - metaphorically representing Dorian Gray's attic as our minds, and the ever-deteriorating portrait as our growing insecurities with our bodies. The objective of the brand is to provide the client with an individualized shopping experience. They aim not to limit their clients in the designs available, but allow them the freedom of choice with their range of one of a kind products. This is to say that all products on offer can be customized to their specific requirements. Their bespoke offering is a unique journey. 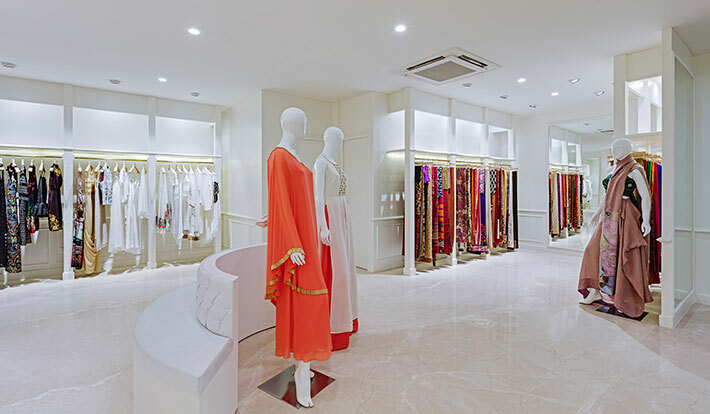 As you enter the comforting lounge, you are whisked into a world of creativity by their team of experienced designers, who translate your requirement into a clear design vision and ultimately into superbly finished garments. The first step in this process is a consultation with the designers where they will advise you on silhouettes which will flatter your shape, along with colours which will do the same. The design is sketched out, with fabric and embroidery options detailed, down to the type of lining, buttons, zippers, etc which will go into your outfit. As your outfit is created, you will have a trial where any minor tweaks can be made before final delivery of the outfit. If a customer has a certain budget in mind for her bespoke garment, the designers will try and work accordingly. The designers can source fabrics for your outfit or alternatively, you can bring your own fabric which they will work with. 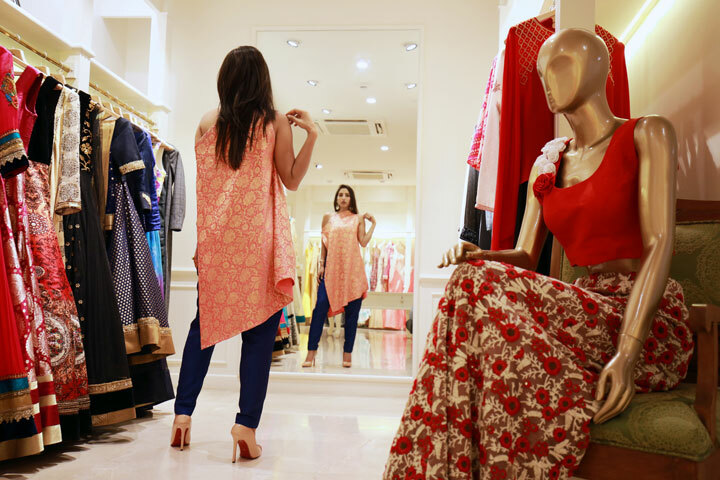 The in-house line along with showcased external designers cover a wide category of clothing and accessories, with ethnic semi-formal and formal, indo-western and western outfits, children's wear, jewellery and home decor. 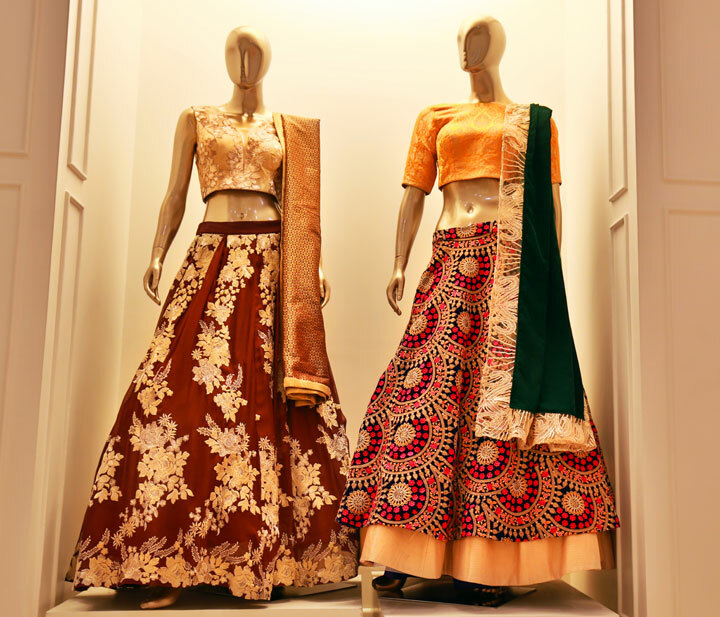 You can find bridal outfits, gowns and flowing brunch dresses in classic styles alongside trends such as dhoti skirts, capes, pallazos, co-ord outfit sets and much more. Every garment in the retail section can be customised to an extent to suit an individual's requirement. "It is a reflection of individuality. I tried to reflect how every woman is unique to themselves, and that is exactly what my collection represents as well. Each garment in this collection has its own story and each piece talks to a different personality who will wear them. Bottle green, golds, jewel tones are the main colors I have focused on. 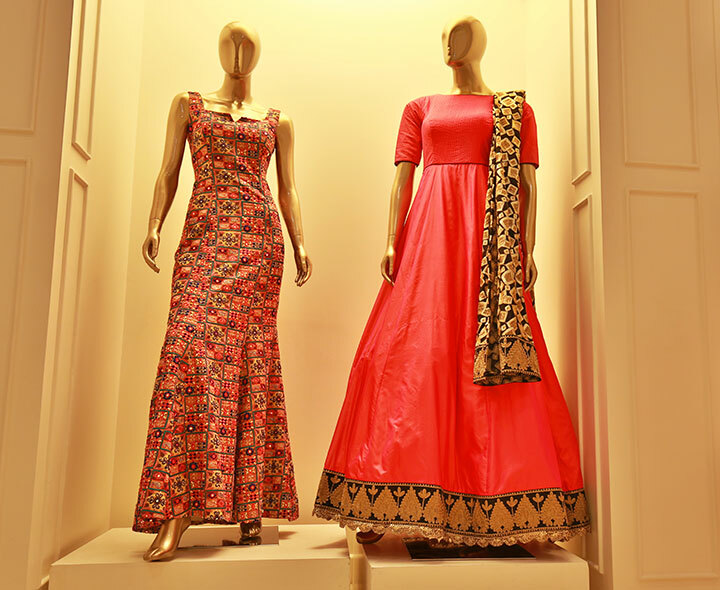 Raw silk and pure fabrics is the focus of each outfit."